Today, the topic of decision fatigue came across my desk and I thought YES! That’s it. That’s what so many of us are struggling with. We make so many decisions from the time we open our eyes until our feet stop moving at night that we’re overworking our decision making muscles continually. It’s like asking our legs to run a marathon day after day after day and expecting them not to be tired. 1) Make the most important decisions early in the day when you’re fresh. This is akin to the adage of doing the most unpleasant task first so that it’s out of the way and you no longer have to percolate on it throughout the day. 4) Feeling hangry? Eat something before deciding on anything!! 5) Feeling hormonal? Decide nothing major ! 6) For the really big decisions, why not make a list of pros and cons and then sleep on it. Reread it in the morning after your morning ritual when you’re fresh and ready to take on the world. Decide. Bless it and release it. It’s done. 7) Use your intuition. The first thing that pops into your mind (or your gut) is usually the right thing. Learn to trust yourself, above all else. Preparing your desk for the most important task of the next day BEFORE you go home at night8) Use your intuition. The first thing that pops into your mind (or your gut) is usually the right thing. Learn to trust yourself, above all else. In the end, don’t let the perfect be the enemy of the good. Oil Tip – Do you find it hard to stay on track and making solid decisions? 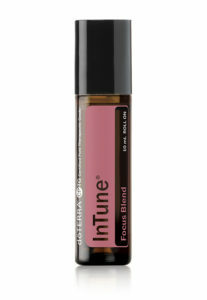 Try diffusing any doTERRA grounding oil such as Douglas Fir, Cardamom, Balance, or In Tune. 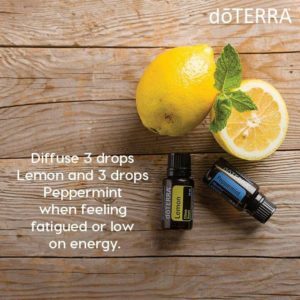 One of my favourite diffuser blends for focus is 2 drops Rosemary , 2 drops Lemon, 2 drops Peppermint. Voila!